Starting this year of 2015, the Corrales SDA Church has been blessed with a new Pastor. 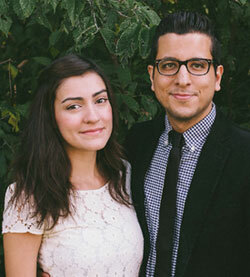 Pastor Andre Arrais is a native Brazilian born and raised in the Adventist Church. Ministry is in his blood. His grandfather is a retired pastor, both of his parents are pastors and his brother is a pastor. His call to pastoral ministry came while he was in his last year of Law School. Since then, he has been preparing himself as much as he can to fulfill God’s calling in his life. He has been gifted with a wonderful wife (Natalia), who happens to be a pastor’s kid too. Together they have accepted God’s challenge to serve wherever He leads. Visit our blog for more information on his background and calling.